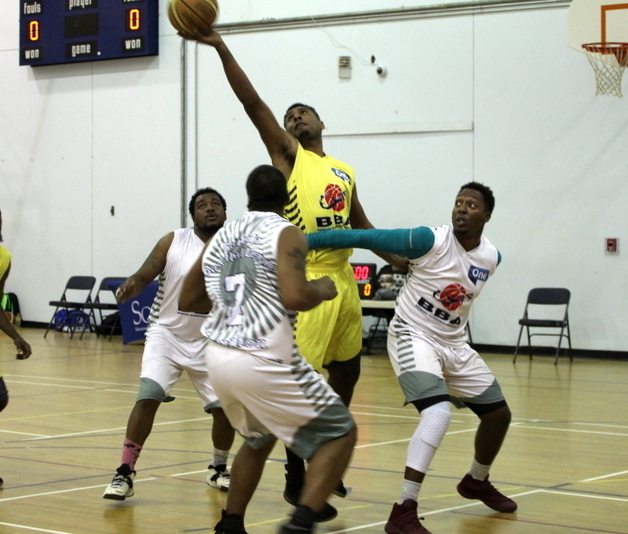 The Bermuda Basketball Association’s Winter League sponsored by ONE Communications continued with a triple header inside the Somersfield Academy Gymnasium with 325 points scored on the night. In the opener the Pembroke Skyforce defeated the Somerset Tsunamis 73 – 62, the Pembroke Skyforce were led to victory by Akil Smith who had 25 points, 6 rebounds, 6 assists, 3 steals and 1 blocked shot, while Jahmyl Robinson scored 23 points for the Somerset Tsunamis, he would also add 2 Rebounds, 1 Assist and 1 steal. Darae Smith led the Hamilton City Twisters to a 63 – 43 win over the St. George's Hoopstars with 30 points, 12 Rebounds and 2 steals, while Leano Ming scored 16 points for the St George’s Hoopstars to go along with 11 Rebounds, 1 Assist and 1 Blocked shot. In the final game of the night the Devonshire Chargers defeated the Warwick RimRockers 90 – 59. Kevin Stephens led the Devonshire Chargers with 31 points, 8 Rebounds, 10 Assists and 4 steals, while Keedai Astwood scored 16 points for the Warwick RimRockers along with 6 Rebounds, 3 Assists and 2 Steals.